Somehow Monday has a way of sneaking up on me and on Sunday afternoons, I'm all "Crap! I don't have a Handmade Monday post!" Most of the time, I'll just skip over it and act like y'all won't notice. Yesterday, however, after my Sunday afternoon realization of the lack of a scheduled Handmade Monday post...I thought, "Hmmm. I saw this delicious recipe the other day. Maybe Lizzy will want to share it with my sweet readers." It sounds like I just proposed to Lizzy with a diamond ring, but I didn't ((I DID put a ring pop in the blogger meet up swag bag, but that's neither here nor there)). 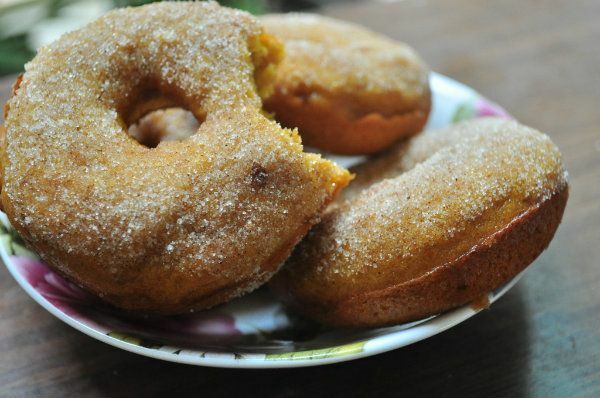 I just asked her to share this delicious Pumpkin Donut Recipe with y'all. It's a beautiful friendship in the making, y'all...someone who is funny, creative, AND who will work with this mess of a blogger on last minute projects. 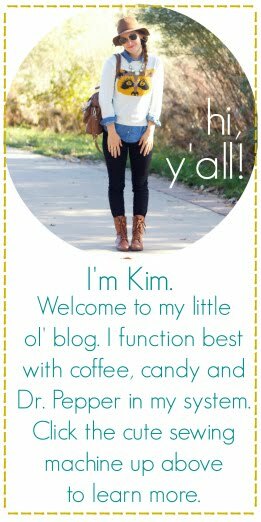 I met her Saturday evening at our local Blogger meet up and she was a HOOT. Isn't it fun when you meet someone with the same sense of humor? Yes. Yes, it's fun, y'all. I'll stop blabbing. Here's LIZZY from the Lizzy Pancakes blog, sharing a delicious recipe. First of all, you're welcome. Now that we've got that out of the way, I'm going to share the one and only pumpkin recipe of the Fall that you're going to get from me. I love pumpkin, I do. But I love moderation more than I love pumpkin. I think we can all agree that Pinterest has been overwhelming us in that department. 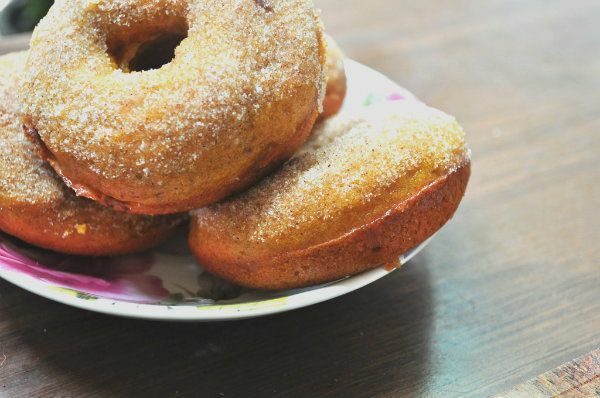 What is really great about these donuts, besides the fact that they're are fantastic with a cup of coffee on cool Fall mornings, is that the batter can be saved. Most people don't want 18 donuts at a time. (For the life of me, I can't figure out why.) You can refrigerate it up to a week and bake 2 or 3 every day. Enough chit chat. Let's get down to this recipe. Beat all ingredients from the vegetable oil to the baking powder together until smooth. Add in the flour and mix until just smooth. Not too much. 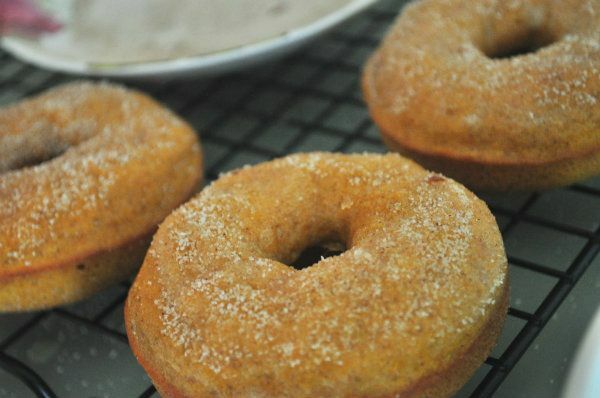 Fill your donut pan wells too the top, but no higher. A lot of recipes will tell you not to fill them all the way, but this is how you get the puffy look. Bake them at 350 for about 12-14 minutes. Once they're done, let them sit for a couple minutes then take them out of the pan and transfer to a wire rack. Once slightly cooler, dip one side in melted butter, use a knife to scrape excess off, and let sit for one addition minute. 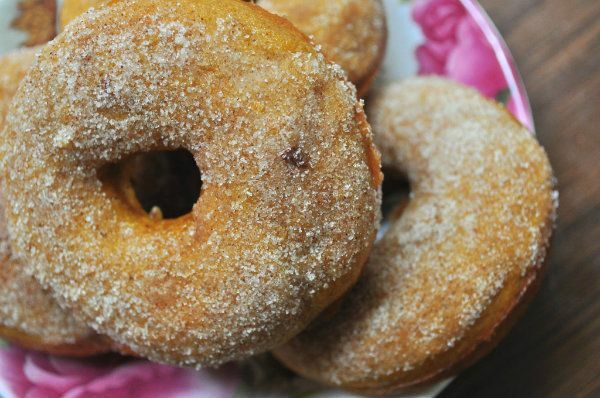 Then dip in them in your cinnamon sugar. I'm sure you're overloaded on pumpkin. I'm sure you've just had it up to here with everything made from that big, orange gourd. But I need you to make these. You won't regret it. I promise. I am drooling right now! Yuumy recipe - thanks for sharing! I'm your newest follower (via Lemon Jitters) and it is lovely. Ohhhhh my goodness! I have a soft spot for donuts! Yum! these look delicious. i'm going to have to ask for a do-nut pan for christmas! Definitely just kicked my Monday up a notch! And like Mandy, I'm adding a donut pan to my wishlist! yummm! these sound so good! Oh man! Those look delicious! This looks yummy! 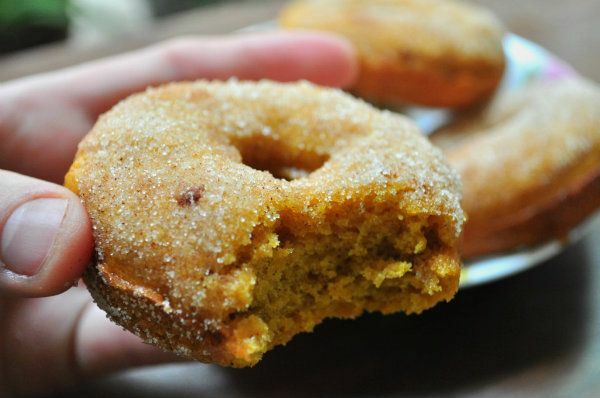 I've been looking for a good pumpkin doughnut recipe. WIil have to try this out! These donuts…I can’t even STAND how awesome they look. I definitely wouldn’t be able to stop at one of these! — They look so so moist and soft inside! Pinned!